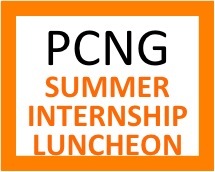 7th Annual Luncheon for current Princeton students, Alumni and Parents in Chicago interested in supporting students in summer internship opportunities. This event will be hosted by Doug Ryan ’84. RSVP by 12/17 @ midnight - space is limited! All alumni and parents in the area are invited to attend a special meeting of the Princeton-Chicago Networking Group ("PCNG") that will bring together alums, parents, and current Princeton students in the spirit of networking and *hopefully* summer employment. Are you a current student or alum who has started the search for a summer internship? Do you know a Princeton student or alum seeking a summer internship? Are you an alum or parent who has (or may soon have) a summer intern position available at your firm? Are you an alum or parent who would like to give advice on how to best position oneself for a successful internship search? If your answer to any of the questions above is "yes", then this event is for you! This is a unique opportunity for Princeton alums, parents, and current Princeton undergrad/graduate students to network around the topic of summer employment in the Chicagoland area. Whether you are trying to fill an internship position or are hoping to find an internship, this event will give you a head start on the process before the holiday season ends. As the Princeton Club of Chicago's activities have shown through the years, there is great value in face-to-face contact for sensitive introductions, career counseling, and career strategy. For undergraduate/graduate students: Learn about internship opportunities in the Chicagoland area. Meet other Princetonians who could serve as mentors. Learn to network to a job. Get more connected with the Princeton community in Chicago. For alums and parents: Meet a group of stellar candidates for summer internships. Learn about other industries. Serve as a mentor to other Princetonians or meet someone who could be a mentor. Get more connected. Bring a smile and enjoy yourself! Lunch will be provided thanks to our host, Doug Ryan '84 of RR Donnelley. Click here to RSVP BY 12/17 @ midnight! There is no charge for this event, but space is limited. Please remember to answer the questions prior to confirming your reservation and include your guest name(s) and class years. Thank you!